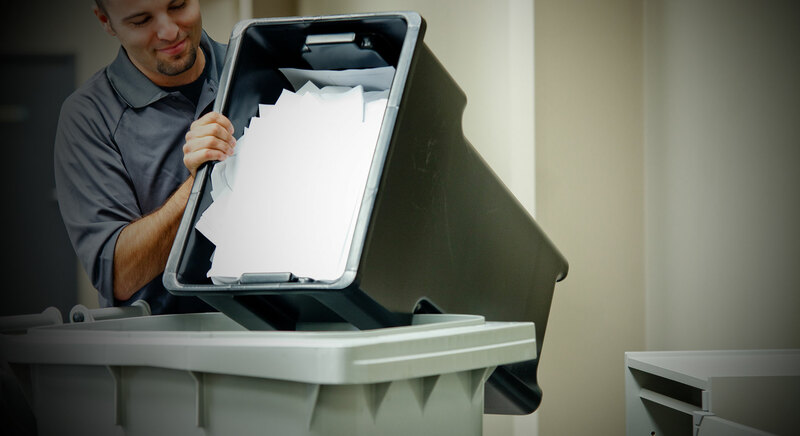 Are your looking for a reliable shredding service company for your office document destruction? Or Are you tired of your office shredder? Privacy is becoming more and more of an issue, that is why you can no longer ignore it! If you operate a business, it is a matter of compliance with the law! Neighborhood Parcel of Lowell MA can help you protect your / your clients privacy by offering you an economical plan to shred all your documents at very affordable rates. The Health Insurance Portability and Accounting Act ( HIPPA), enacted by the federal government in 1996, is intended to safeguard the privacy of patient health records. The law provides for stiff penalties for companies found to be in violation of HIPPA regulations. A full text of HIPPA regulations is available from the U.S. Department of Human Services. Don’t trash your documents, others may access it and compromise your data, our technology will shred your documents to dust almost, the process is called pulverization. Our most affordable plan is in store, where you bring the material to us for shredding, no transportation cost or hidden costs, simply pay per pound. Same quality service without the extra fees, shredding rates starting at 89¢ /Pound. Off-Site Shredding technology allows us to destroy up to 5000 pounds of documents an hour, saving you time and, more importantly, saving you money. No other company can match our document destruction rate that serves Greater Boston. Our truck allows us to pick up at our location and shred in our secure facility. This off-site document destruction service eliminates any chain of custody issues and gives you the assurance that your documents have been destroyed properly. All our clients receive a Notarized certificate of destruction verifying the shredding of documents providing you a legal audit trail. We plays a very important role in protecting our natural resources. Recycling paper allows us to recover waste paper and turn that waste stream into useful products. We are pleased to report that 100% of our waste stream is recycled. We never use landfills to dispose of our waste. Paper recycling not only saves trees, but it also saves oil, energy, water, and saves significant landfill space. A paper recycling program is something that every responsible business should be involved in. program is very simple and requires very little time. MyDocumentshredding.com can develop and implement your Boston paper recycling program. The most powerful and economical shredding service plan! Document shredding Service plan that was designed with consumers and small businesses in mind. While other large corporations nickel and dime you for everything they can; this secure document shredding plan will allow you to get the same benefits of secure and safe document destruction but without the high cost and hidden fees. You simply drop off your documents, files, statements in boxes, bags or bins, we secure the documents in lock bins and a shredding truck is dispatch to our location where final shredding takes place. A Notarized certificate of destruction is then mailed to your home or office for the additional peace of mind and audit trail purposes.